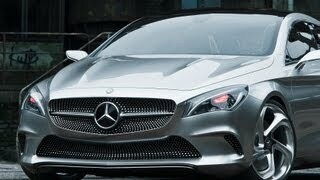 Mercedes Benz is planning on revealing their latest concept coupe during this year's Beijing Motor Show. 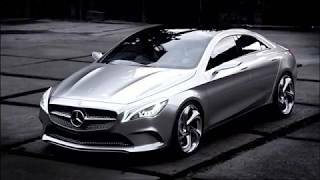 You don't need to look at the Mercedes Benz Concept Style Coupe 2012 for too long in order to realize that it builds upon the Mercedes Benz CLS, as the Concept Style Coupe borrows the same four-door coupe shape as the CLS. 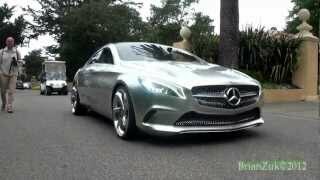 First, let's take a look at what we can expect from the Mercedes Benz Concept Style Coupe 2012 in terms of specifications. Under its bonnet the Style Coupe sports a 2.0 liter four-cylinder engine able to develop 208 horsepower. Concerning the concept car, the engine is coupled with a seven-speed dual-clutch automatic transmission that sends the power to all four wheels. However, once the Mercedes Concept Coupe 2012 will make its way on the automotive market as a full-production car, it's expected that front-wheel drive variants will also be made available. 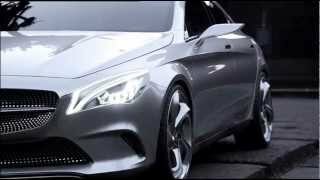 The reason why the Mercedes Coupe Concept 2012 will also be available in FWD and not RWD is because although the Concept Style Coupe bears great resemblance with the CLS, it actually shares some similarities with the future-to-be-launched A-Class as well. On short, the Mercedes Benz Concept Style Coupe 2012 shares the same platform with the A-Class. On the exterior, the Mercedes Benz Concept Style Coupe 2012 shares design elements with both the CLS and the A-Class, featuring frameless doors as the CLS and diamond-look front grille similar to that found on the A-Class. Overall, the exterior of the Mercedes Benz Concept Style Coupe 2012 looks slick and powerful at the same time, featuring slim side mirrors and prominent air intakes on the front bumper. On the interior the Mercedes Benz Concept Style Coupe 2012 borrows many design elements from the A-Class and offers air vents that change color according to the temperature set on the climate control, a wide panoramic sunroof and state-of-the art technologies including Mercedes' COMAND Online infotainment system. 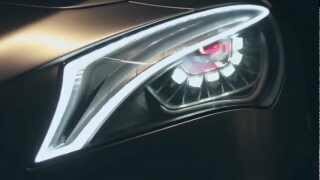 As far as availability goes, the Mercedes Benz Concept Style Coupe 2012 will be built in a new Mercedes factory located in Kecskemét, Hungary and it's expected to hit the market Q1 2013. The Mercedes Benz Concept Style Coupe 2012 is also expected to make an appearance during this year's Paris Motor Show.